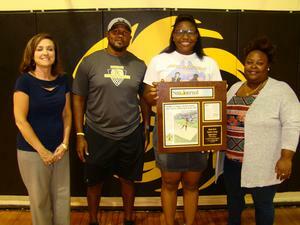 Hydia won the 1-A Shot Put Competition at the State Championship Track and Field Meet with a throw of 39’2”. What a phenomenal ending to her high school athletic career! We are all very proud of Hydia and her representation of Pamlico County during the state competition. Congratulations Hydia! 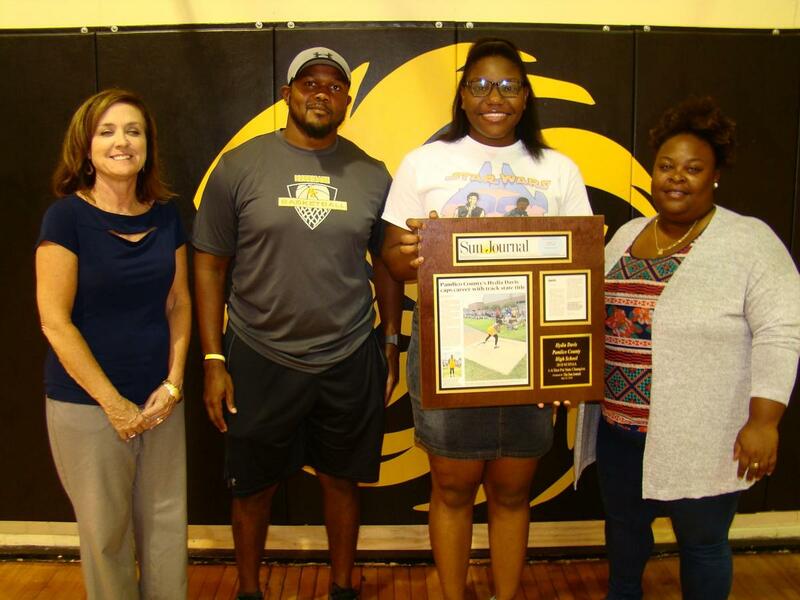 Pictured (l-r) are Lisa Jackson, Superintendent, Torrey Nowell, Track & Field Coach, Hydia Davis, and Kaneka Moore, Track & Field Coach.